Humidifiers often end up on many baby registries and wish lists as a “must have” item for the baby’s room. 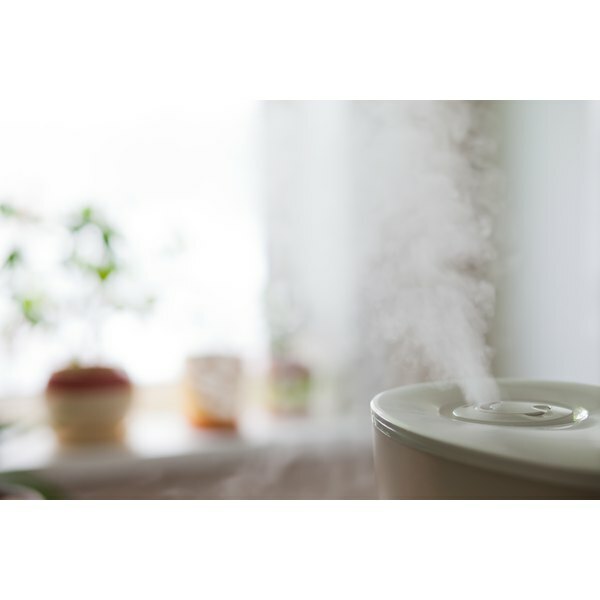 The devices use water vapor or steam to increase a room’s humidity, which can ease chapped lips, dry skin and other problems caused by dry air. They can also relieve symptoms of cold and other respiratory illnesses for your baby. You'll find that these devices come with an additional perk -- the ability to improve your baby's sleep. Depending upon the needs of your family, you can choose from many different types of humidifiers, including ones with colorful children’s designs or characters specifically marketed toward baby nurseries. Central humidifiers humidify the air in the entire house and are often part of a home's heating and air conditioning system. Because these models are quieter than stand-alone models, they might not have all of the sleep benefits of other types of humidifiers. Ultrasonic humidifiers use an ultrasonic vibration to make a cool mist. They can be more expensive than the traditional impeller humidifiers, which use a rotating disk to produce the mist. You should speak with your pediatrician about what type is best for your baby. If you use a warm vaporizer, keep it in a place where your baby cannot access it and potentially get burned, warns Children's Hospital Colorado. Because of the recommendations of both the U.S. Food and Drug Administration and the American Academy of Pediatrics advising against cold medication use in children younger than 2, it can be hard to comfort a baby with a cold. Babies with nasal congestion do not breathe well, which can interfere with their ability to sleep. Adding moisture to the air with a humidifier can help thin out nasal secretions and keep your baby’s nasal passages clear. The rhythmic, vibrating humming noise of a humidifier can serve as a white noise machine for your baby’s nursery. Dr. Harvey Karp, pediatrician and author of “The Happiest Baby on the Block," maintains that babies sleep best when the room is not silent. According to Dr. Karp, the noises babies hear in utero are twice as loud as a vacuum cleaner, leading many babies to need strong, regular noise to sleep soundly. Even when your baby is not sick with a cold, Dr. William Sears, pediatrician and author of “The Baby Book: Everything You Need to Know About Your Baby from Birth Until Age 2," suggests that using a humidifier can help improve her sleep. According to Dr. Sears, maintaining a humidity level of around 50 percent in the nursery can prevent your baby from developing a dry, stuffy nose, which might cause waking at night. Despite the humidifier's sleep-inducing benefits in the nursery, it can make your baby sick if it's not cleaned properly, according to the United States Consumer Product Safety Commission. When buying a humidifier for your baby's room, look for models with a built-in humidistat so that you can monitor the humidity levels. Change the water in your humidifier frequently and clean it every three days, following the directions for your model. Keep the area around it dry and air out the room during the day. Children's Hospital Colorado: Humidifiers Safe for Baby?